Individually tested at 10,000V and guaranteed safe at 1,000V (EN60900:2012). Extra-Slim blade features integrated insulation, for easy access to recessed screws. Ideal to actuate RCBO spring clamps. Set contains: SL3.5 x 100mm, SL3 x 70mm, SL4 x 100mm, SL5.5 x 125mm, PH1 x 80mm, PH2 x 100mm and PZ2 x 100mm. 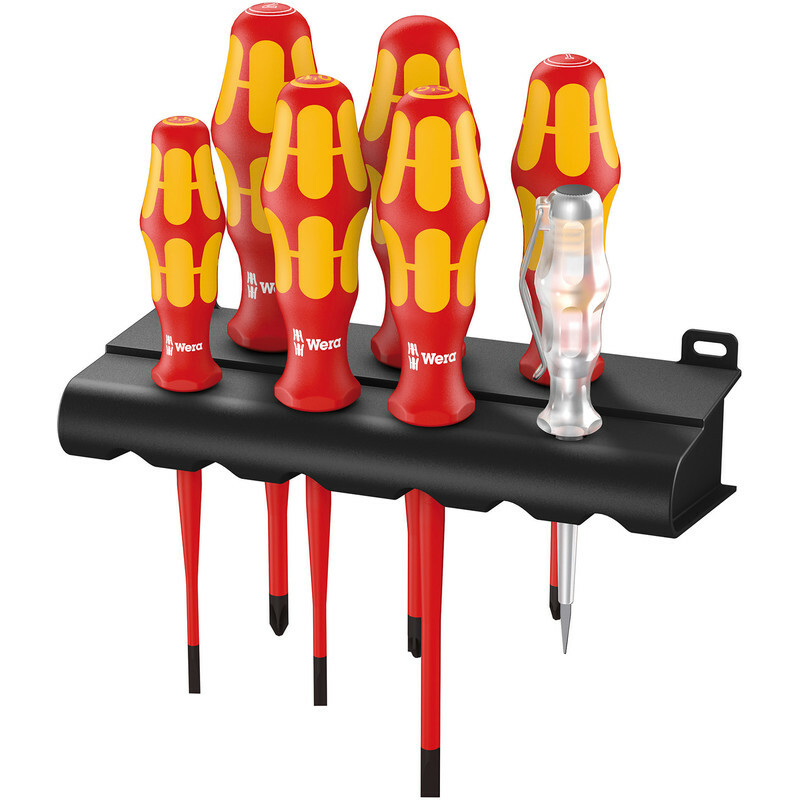 Wera Kraftform Plus Extra-Slim VDE Screwdriver Set (7 Piece) is rated 3.0 out of 5 by 2. 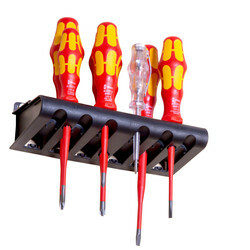 Rated 5 out of 5 by GHGazzaH from WERA excellent tools These are excellent screwdrivers. 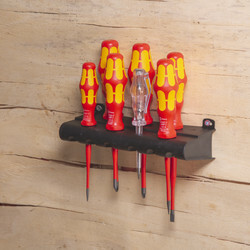 Ignore the bizarre other review which is not about the quality of the screwdrivers at all but just a moan about the description on Toolstation which is no reason to mark down one of the best screwdriver sets you can get. 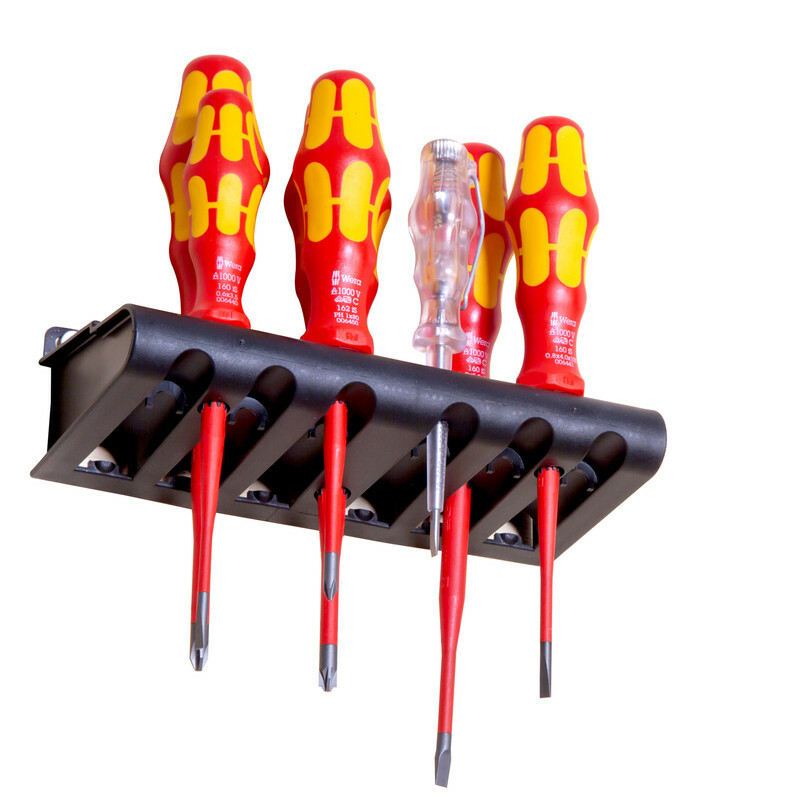 Wera tools are always good and I have come across many other professional tradesmen using these screwdrivers too. I have WERA VDE screwdrivers, WERA hammer through screwdrivers and some of the green and black handle ones. All excellent, good grip in your hand, ends strong and no issues with the tips bending or snapping. 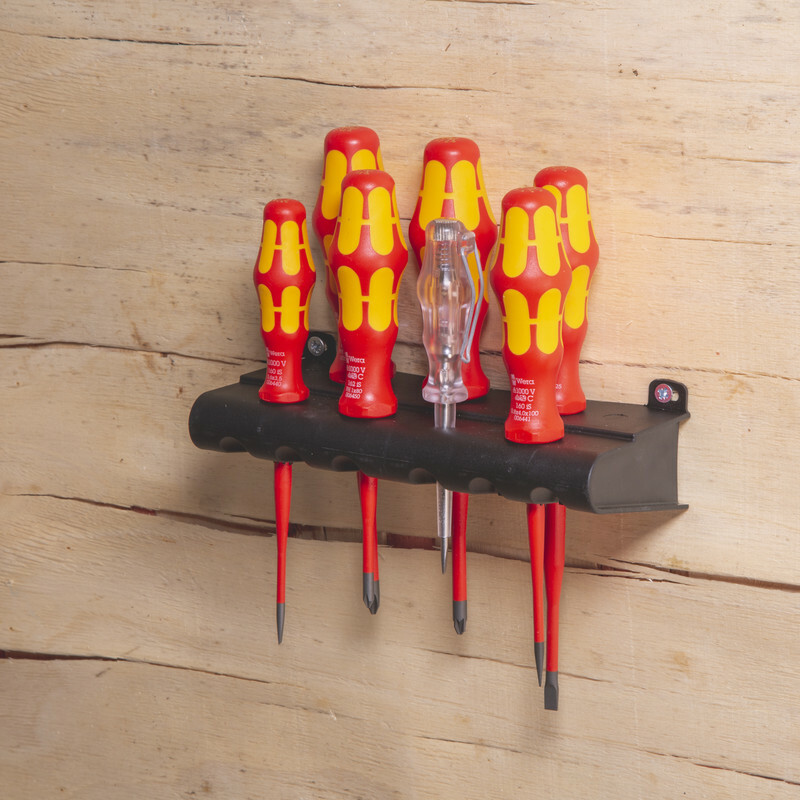 Rated 1 out of 5 by Seanieballs007 from Wera insulated slimline screwdriver set The catalogue description is wrong as the is no PZ bits in this set, so I took the item straight back for a refund.